VMware Workstation 10 is now available for download. There are some great new features that have been added to the new release including OS support for Windows 8.1, SSD Passthrough and VM Hardware Version 10. As always, the release is available as free Trial (30 Days), Update (119,- USD ex VAT) and Full Version (249,- USD ex VAT). 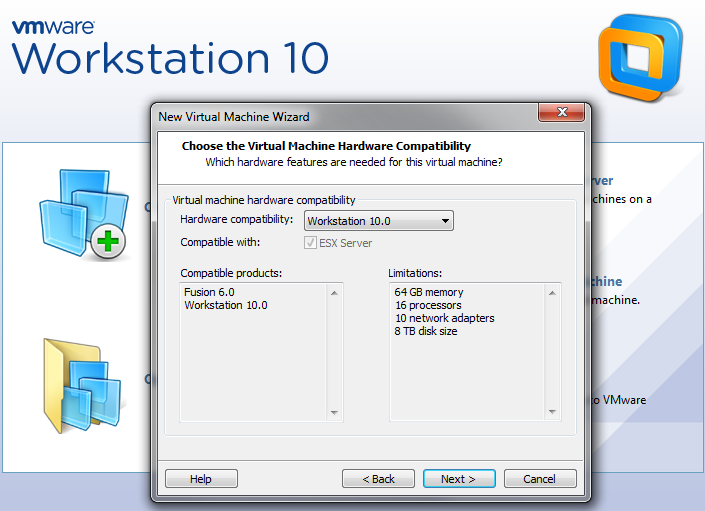 VMware Workstation 10 does now support Windows 8.1 as Guest-OS, Host-OS and for P2V convertions. The Unity mode has been enhanced to seamlessly work with Windows 8.1 User Interface changes. Starting with Workstation 9, VMware implemented some features that allows the machine owner to add some security features like encryption and change-freezing. With the current release, this feature has been extended with the possibility to let the virtual machine expire at a predefined date. This, and the further developed vSphere ESXi/vCenter management capability makes VMware Worksation come closer to the world of virtual Clouds. 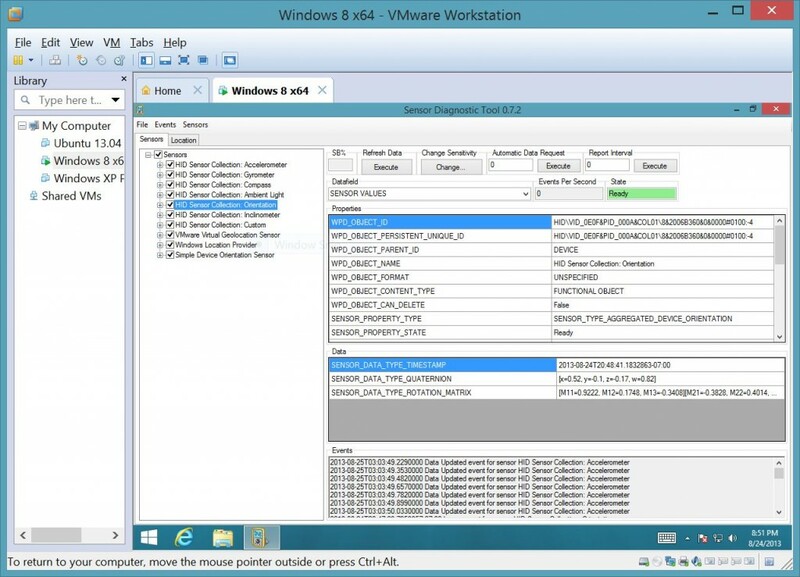 VMware Workstation 10 provides virtual tablet sensors. That enables the Guest OS to recognize the environment with an accelerometer, gyroscope, compass, and an ambient light sensor. As the workplace becomes more and more mobile, this feature is a great enhancement for the user experience.